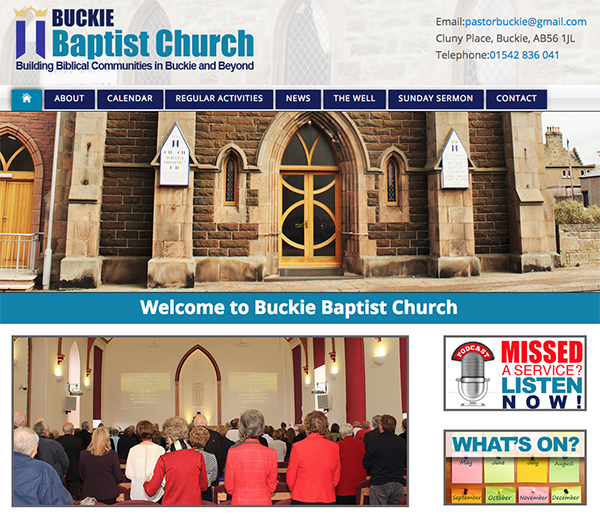 The Buckie Baptist Church asked for a new website that would allow the community to find out information relating to the church and their events. I was also asked to set up their social media and podcast accounts/pages. The website now includes a 'Sunday Sermon' page where you can go to and listen to a podcast of the Sunday sermon if you missed it. The podcasts are hosted via soundcloud and then embeded directly into their website.